I cracked open one of the books we received as a gift from Dan and Angel and discovered that the first page is duplicated. 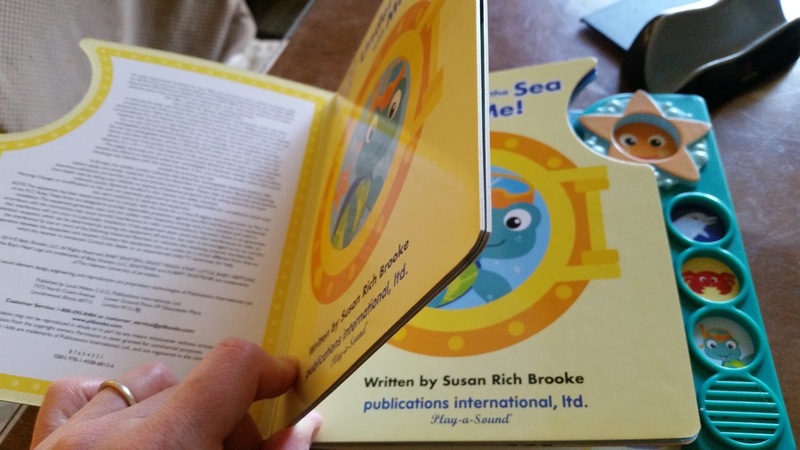 It looks like we're missing the page with the dolphin in it. Weird. I contacted the company to see if they will exchange it for a corrected book. That didn't stop us though. We looked at the book and then did a bunch of tummy time. This guy loves to be on his stomach, which is a great. 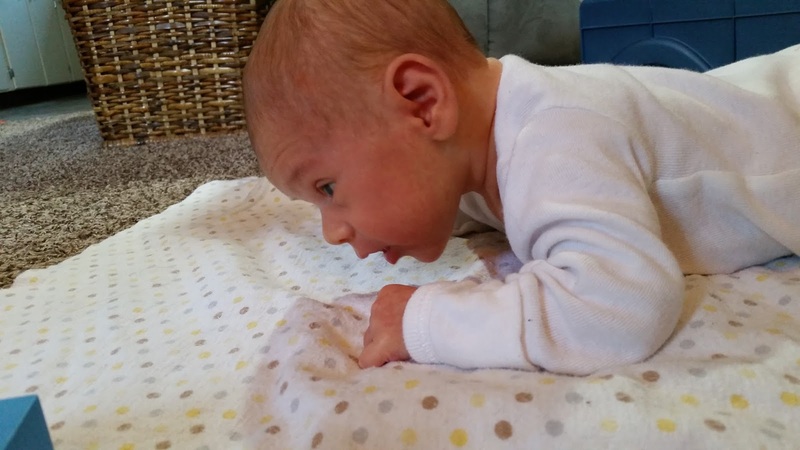 I've read that lots of kids hate tummy time. Maybe that comes later when they're older.